I'm a blogger. That's my job now and it's making me good money. Problem is the money doesn't come in regularly and collection is a painful task. So I've decided that next year, looking for a job is my top priority. With two kids in big school by June 2017, I need regular income to sustain us especially when my blogging income is sporadic. If you're job-hunting like me, the money situation can be stressful. Landing your dream job can take time, and time is expensive! Plus, all those interviews, procurement of documents, and ticking off the list of requirements will cost money. So what to do? Don't wait for that dream job. Make money now! Income can come from anything at all—something I learned quickly when I left my cushy corporate magazine job and entered the world of freelancing. Brands call me an "influencer" yet I can't seem to put that on my résumé! Selling household items you don’t use can be lucrative. One time I sold my preloved stuff on eBay and made 20K in one weekend! It’s surprising, once you start selling, how much you find you don’t need anymore. Go through everything—your closets, jewelry box, bookshelves, attic, basement, garage. You are going to find sooooo much stuff and most of it will earn you so much cash! If you're lucky, you might even come across old items in your house that have tons of value. Check paintings, jewelry, the labels of your old clothes, first-edition books, and even your old stamp collection. Vintage stuff is big business. Selling things couldn’t be easier, with sites like eBay there to do the hard work for you. Put your old stuff online and see how much money you can make! Every so often, I'd post all my preloved stuff or all the press products still lying around in my house on eBay and I'd earn enough for a nice dinner, a new dress, or even a fun shopping expedition. In fact, I'm going to start selling stuff on eBay next week! As I can attest, blogging can be a fun way to make money. Have you got a niche subject you’re dying to tell the world about? Setting up a blog is much easier than you’d think, and could lead you to massive success. Blogging isn’t just a way to make a little extra cash either. If you put in a fair amount of effort, you might find this is the dream job you never knew you wanted. I seriously never thought blogging would become my highest-paying job! You can have a lot of fun with a blog. Most importantly, it's an easy way to get yourself out there. In fact, a blog can be one effective way of getting noticed by brands who might become your future employer. So start a blog and learn how to draw traffic to your blog. Getting a large enough audience is essential if you want to start making money. Most of the money you’ll make is off of advertising (banner ads, sponsored posts, paid links, etc) and companies will pay well if you have a strong-enough audience. It’s also essential that you integrate yourself into the blogging community. As my BeautyBizBliss community advocates—collaboration over competition! Get your name out there by becoming familiar to existing bloggers. Be friendly and be nice! Got crazy crafting skills? Homemade items are always desirable. It’ll amaze you how much people are willing to pay for your crafting goods. If you’ve got a knack for knitting, use it to make you money! Knitted goods sell for top money. If you’re a wiz on the sewing machine, why not get to grips with your inner designer, and sell your creations? Take a look at what’s on the market and see if you can do anything a little different. If knitting and sewing aren’t for you, there are many other options. How about making candles? If you’re good with design, you could create your own art prints. If you're amazing at baking, make cookies, cupcakes and other pastries to sell. As for me, I offer services. As a blogger of 10 years, I hold workshops where I share blogging tips. As a former magazine editor, I also do workshops on beauty and fashion. And soon, as a writer and editor, I plan to teach creative writing to kids! If you have a skill you can teach others—anything from journaling, calligraphy, baking, cooking, playing an instrument to building a business or making a relationship work—offering your services can be fulfilling and lucrative! Various online panels offer cash rewards for the completion of surveys. The money's not much (I tried around 8 years ago) and signing up for one of these is unlikely to make you rich, but it will give you a little extra spending money each month. Studies usually last between 10-30 minutes. You’ll be required to answer a series of questions about a variety of subjects, ranging from shopping habits to your opinions on a product. This is a hassle-free way to make money. Once you’ve signed up, survey invitations will go straight to your inbox. Many survey sites even offer the option to take part in control groups. If you’re able to travel to these, you could make even more money! Remember to check that you will be making money, even after travel expenses. If you’re not making money, don’t go! Early in my blogging career, I loved joining contests. It's a great way to get stuff I otherwise couldn't afford. That's how I got my Gucci bag, a Samsung phone, and Evita Peroni hair accessories, for example. Some of my blogger friends have won trips abroad. So fun! Sites like Loquax give you a low-down of a variety of competitions. Most of these are free to enter and offer anything from money to rewards. Even if a competition offers a reward, it’s worth entering. You can sell any prizes you don’t want and get your money that way! Take the time to enter as many free competitions as you can. You have to be in it to win it, after all! If all your work up there earns you decent cash, you could look into the investment world. Investing in stocks and shares can be a lucrative money-making scheme if you do it right. Yes, you have to do it right. My husband and I invested a few years ago in the stock market and we lost money. Be aware that investing in the wrong shares could result in losing your money. Take care and study the market. If you want market information, find it from Money Morning. Sites like this are a huge help in giving you an idea of where it’s worth investing. There’s no denying that the world of stocks and shares can be overwhelming. I can't knock it even though we've tried it (and failed) because we know so many people who have become millionaires simply by investing wisely in the market. So do your research and don’t jump into anything. If you think you’ve got the hang of the market, investing could be the perfect thing for you! Getting creative can take your mind off your job-hunting dilemmas, at the same time as making you some money. It gives you something to focus your energy on during your unemployment, as well as offering potentially large payouts! In fact, whatever you do now to make money might become your new career. Look at what happened to me and my blogging hobby! Good luck! These are great tips. 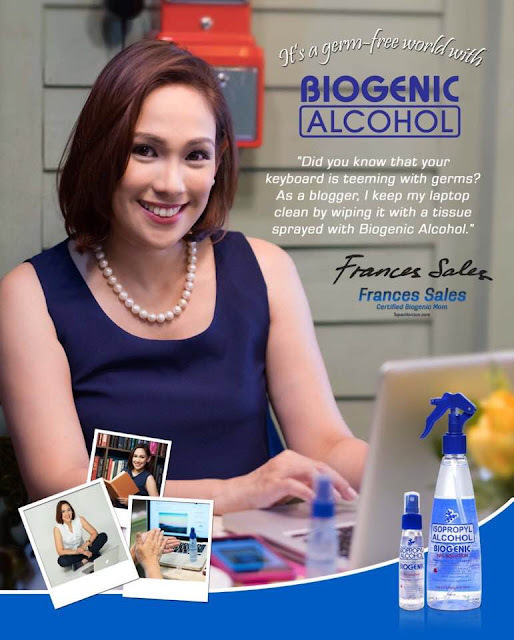 Thanks for sharing Frances! I've been mulling over quitting my day job... maybe in a year or two to pursue entrepreneurship. Before the business takes off though, I expect there would a few months when money would be tight so I'm been planning on rackets to tide us over. I got interested with the idea of answering surveys; tried signing up at panelbase.net, but the country list is only within UK? Sayang naman..
Great tips! Just chanced upon this and I think it's giving me the push to sell some of my yarn ( don't have the time to crochet these days ) and probably enter more blogging competitions! Will check out Loquax! Thank you so much for sharing this amazing article. Everyone likes to hire freelancers to do their task. I have hired more than 4 freelancers from Fiverr. They had done great work for myself.